View over Duckpool, Near Bude. Photographer David Carvey, Bodmin. The South West Business Council (SWBC) have today announced that their partner charity 2019-20 will be the South West Coast Path Association. This recognises the value and importance of the South West Coast Path National Trail to the region’s economy and role of the Association in championing the Path. Over £500 million is generated for the South West each year by visitors to the Path, supporting an estimated 11,000 jobs. Through a combination of fundraising events and conferences, members of the SWBC hope to raise a minimum £2000 in 2019 to support the Association’s vital work protecting and championing the Trail that benefits so many of their members, both personally and professionally. The South West Business Council is the economic partnership for the South West of the UK. They work to shine a spotlight on regional capabilities that are ahead of the field nationally and around the world as well as provide a single voice for the South West’s business community. They have over 120 members from a whole range of different organisations of various sizes and sectors, based or operating within the South West. Some of the larger members include Great Western Railway, Exeter International Airport, Vodafone, Lidl and Womble Bond Dickinson LLP. Tim Jones, Chair of the South West Business Council said “SWBC are delighted to be supporting the South West Coast Path. Apart from this being a key environmental driver, it is also a major component of the regional business strategy. The spin-off benefits are significant through tourist enhancement and numerous local supply chain opportunities. This is very much part of one of the biggest prospects for business growth over the next 5-10 years ”. 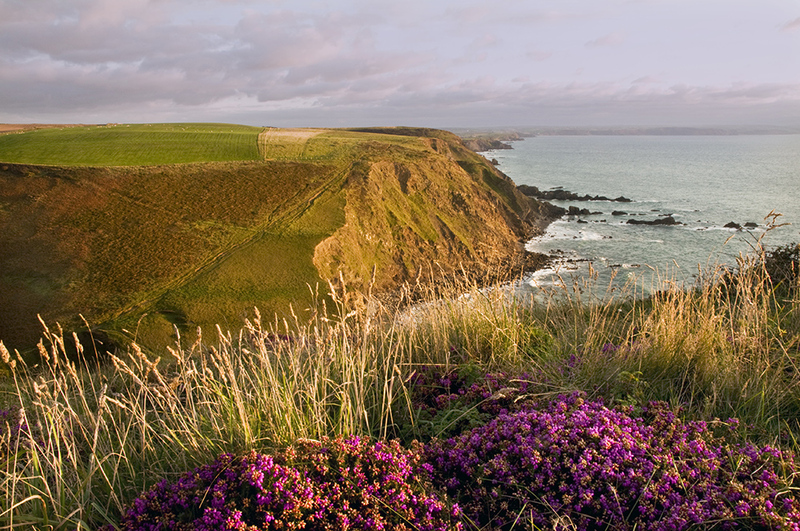 The South West Coast Path Association protects and champions the Trail to ensure we can all access and benefit from this world-class coastal landscape. The charity coordinates and fundraises for infrastructure projects, storm damage repairs and outreach work to engage people of all ages and backgrounds with the Trail. Julian Gray, Director of the South West Coast Path Association said “We really appreciate the support of the South West Business Council to help up raise awareness of the National Trail within the business community. The Coast Path is a thin green line around the South West vulnerable to the impacts of climate change. We need the support from business, community and government to protect it for future generations”. This recognition of the value of our natural assets by the South West business community comes on the back of the family of protected landscapes in the South West, including the Coast Path, receiving an Outstanding Contribution to Tourism Award. Both the Council and Association see the value of the natural capital, protected landscapes and their positive impact on people living and working in the Great South West.